With ten years in the man and van industry, we’ve heard our fair share of moving day nightmares from those who have previously undertaken their own removals – the most common of which is probably tales that surround broken and damaged valuables. Whether you’re considering our man and van York service, are undertaking your own removals or choosing another company, we’d like to help you avoid spilt tears over split boxes – so here we take a look at the ten items that are most at risk on move day. Electrical items can range from the pretty robust (such as your coffee maker or kettle) to the incredibly delicate (such as your flat screen television or DVD player). It’s then unsurprising that the latter group of items are most at risk from damage during a move. To protect these items (particularly when they are bulky – such as a 42 inch television) that you invest in professional removal services (who handily should hold insurance). If you do choose to move these items yourself then be sure to dust down your television before the move (some are so delicate that the dust particles may either scratch the screen or work their way into the back); for other items a good amount of bubble wrap, Styrofoam and a sturdy box are advisable. Our last pro tip is to keep all of your cables and remotes in the same box (this is less about potential damage, and more about maintaining your sanity). No matter how diligently you’ve measured up your new property, squeezing the table, sofa or lazy boy arm chair through that front door can take some serious angle manipulation. For this reason furniture is frequently damaged in a move (and equally results in more than a few wall scuffs and scrapes on the way out of the old property, and on the way into the new property). It should come as little surprise that breakables such as crockery and glass wear makes our list – however despite their fragility it seems that many home movers underestimate just how much packaging these items need. If you’re unsure about whether your breakables are going to make it to the next property, then ask yourself – would you be confident dropping the box they are in from shoulder height? If not, then it’s time to add more bubble wrap and Styrofoam! Plants can prove a tricky challenge to move – particularly if they’re the type to shed their leaves. If you’ve invested in your inside and outside greenery – and your plants are expensive, it’s advisable that you consider a professional removal company who will be well versed in taking care of such items. If you choose to move your plants yourself then you can go some way to protecting them by placing them into large boxes with air holes. Of all the items on our list, it is perhaps mirrors that you may want to take the most care with. They are, of course, notoriously fragile, however for those who are superstitious, dropping one of these could result in seven whole unhappy years in your new home (and as we spend approximately 13 years in each house, this would be more than half of a home’s lifetime [NAHB]). Whitegoods may seem as though they’re made of pretty sturdy stuff (and they can sure feel it), however they’re often far more fragile than we may imagine. Fridge freezers, for example, have piping on the back that only takes a small knock or jolt to damage. 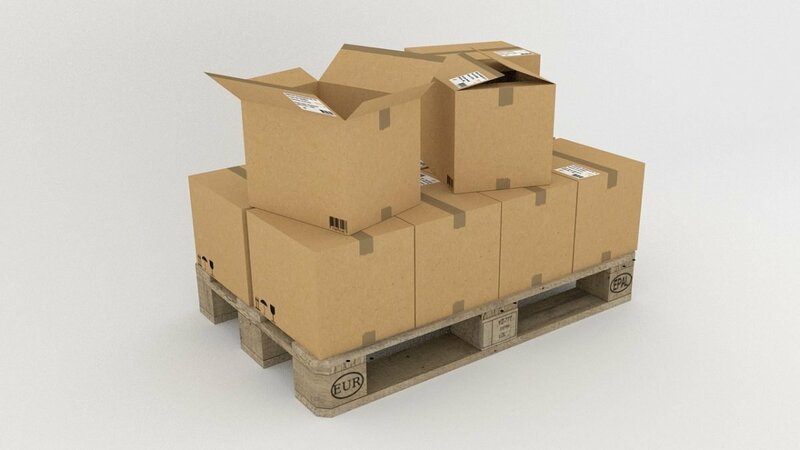 What makes this even more common is the weight of these goods, as they can often be dropped when the carrier finds the item too much to hold. Canvases, wooden frames and glass – each are as delicate as the last, making artwork a potential move day nightmare. What makes this even more imposing a challenge is where the frames may be expensive, as they typically tend to be more intricately detailed, and therefore a whole lot more delicate. Wrap your artwork up in bubble wrap, and always avoid placing canvas art next to items with sharp edges (such as a table or TV stand). After the stress that is inevitably accompanied with moving, many appreciate being able to unwind with a drink once they’ve reached their destination and are spending their first night in their new home. The last thing that you’d then want to face is a box full of broken bottles (no alcohol AND a mess to clear up on move day night? Now that’s one step too far!). So pack your bottles carefully, ensuring that glass isn’t touching glass – and consider the weather as this can potentially ruin certain drinks, such as hot weather can with wine. Tables can be seriously inconvenient come move day, particularly if they’re not of the type that can be broken down. The worst of all are marble and glass top tables – both are which are a literal accident waiting to happen. Our top tip in this event is to have as many hands on deck as possible, and to protect delicate surfaces and corners with bubble wrap. – Consider the moving route that lies before you so you can formulate a plan as to how you can navigate problem areas. Need to know that your possessions are in safe hands with a professional Removals company in York? Want to avoid unforeseen valuable disasters with the tried, tested and trusted man and van York team?